Tanya Dubois has just found her husband Frank dead at the bottom of the stairs, the victim of a fall. Tanya is sure that she will blamed for murdering Frank so she packs her bags, leaves town and changes her identity. As it turns out, this is not the first time that Tanya has had to change her identity, nor will it be the last. When Tanya meets Blue, another woman in hiding, she decides to change her identity once more by swapping with Blue. Only Blue’s identity might be the worst identity Tanya has taken on yet! All that Tanya really wants is a happy, uneventful life and a place to call home. But as we follow Tanya from town to town through each new identity, it becomes exceedingly unlikely that she will ever find that. The story is interspersed with emails between a woman named Jo and a man named Ryan. It becomes obvious that Jo is Tanya’s real name, and Ryan is someone from her hometown. Each email between the two references the mysterious event which changed Tanya’s whole future. For me this book was strangely reminiscent of Gone Girl at first. Gone Girl kept you reading all the way to the end. But, although it took the world by storm, it did not do the same for me. I found the characters to be completely irredeemable and that book left me feeling as if I needed to take a shower when I finished it. However, The Passenger worked out better for me. The only reason I referenced a book I didn’t like is because I was the odd one out. The book had a huge following and I would definitely recommend this book to all who liked it. Lisa Lutz has woven a fast-paced thriller that keeps you guessing at what will happen next. Tanya was an embittered character but as the story unfolded, you could see that there were good reasons for it, so although I didn’t particularly like her, I had sympathy for her. In the end, the mystery is revealed and we find that she was a victim of horrible circumstance that made her into the Tanya we know today. I did guess what had initially happened to Tanya but there was at least one surprise at the end. I also particularly liked the last couple of lines of the book. 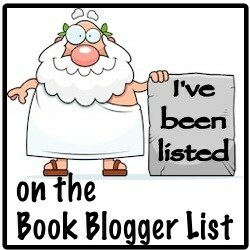 I predict that this book will do well! I want to thank the publisher (Simon & Schuster) for providing me with the ARC through Netgalley for an honest review. This looks really good – I’ve gotten into thrillers lately and I love that cover! Great review! I loved Gone Girl so I’m glad to see that you compared this one to it 🙂 I’ve had a review copy of this one for months and have heard such great things about it, I really need to read it. Your review has me pushing this one up my TBR list for sure!